Bill Cosby's defense team will be able to use a witness in his retrial who could help prove the comedian is the target of a money making scheme. As jury selection picked up speed, the judge in Bill Cosby's sexual assault retrial gave his legal defense a huge lift Tuesday with two rulings that could bolster the 80-year-old comedian's efforts to show his accuser made up the allegations against him in hopes of a big payday. Judge Steven O'Neill said the defense can call a witness who says Cosby's accuser talked about framing a celebrity before she lodged sexual abuse allegations against Cosby in 2005. The judge also helped the defense case by ruling that jurors can hear how much Cosby ultimately paid the accuser, Andrea Constand, in a 2006 civil settlement. The rulings came ahead of a productive second day of jury selection in suburban Philadelphia, with a half-dozen jurors picked by midday to bring the total number to seven. Five of the jurors picked so far are white and two are black, with four men and three women. At the time, the judge ruled Jackson's testimony would be hearsay after Constand, a former Temple University women's basketball administrator, testified she didn't know the woman. Since then, prosecutors have told Cosby's lawyers that Constand had modified her statement to acknowledge she "recalls a Margo." Jackson, a longtime Temple official, has said that she and Constand worked closely together, had been friends and had shared hotel rooms several times. She has said Constand once commented to her about setting up a "high-profile person" and filing suit. Constand's lawyer has said Jackson isn't telling the truth. Jackson's availability as a witness for Cosby could be crucial to a defense plan to attack Constand's credibility. O'Neill didn't explain the reasoning behind his change of heart Tuesday but issued one caveat, saying he could revisit the issue of Jackson's testimony after Constand takes the stand at the retrial. 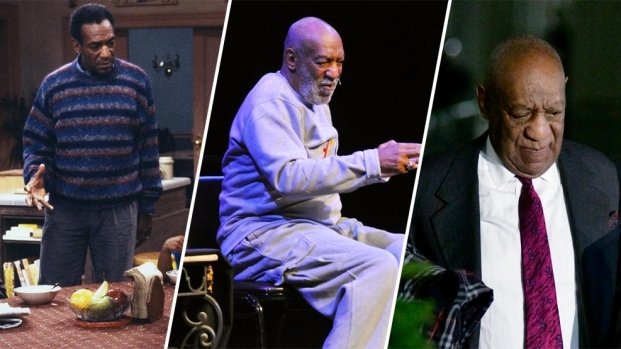 Cosby is charged with drugging and sexually molesting Constand at his suburban Philadelphia home in 2004. He says the encounter was consensual. A second group of potential jurors underwent questioning Tuesday afternoon and proved more opinionated and less willing to serve than the panel that produced the first seven. 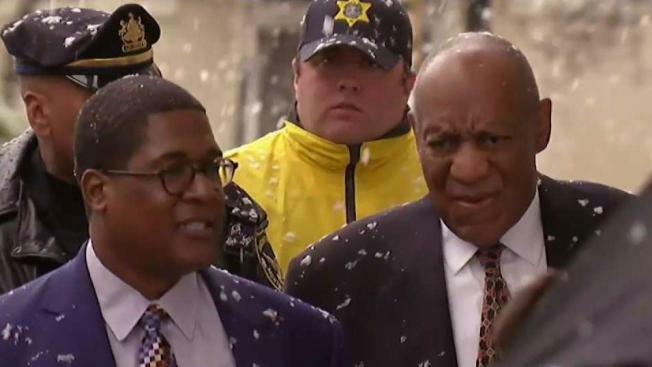 Two-thirds said they already had formed an opinion about Cosby's guilt or innocence, and all but about 20 people begged off the case, saying it would be a hardship to serve. With only a dozen people from that group still in play as potential jurors as court adjourned Tuesday, officials were forced to summon a third batch of 120 potential jurors to the courthouse for Wednesday's session.